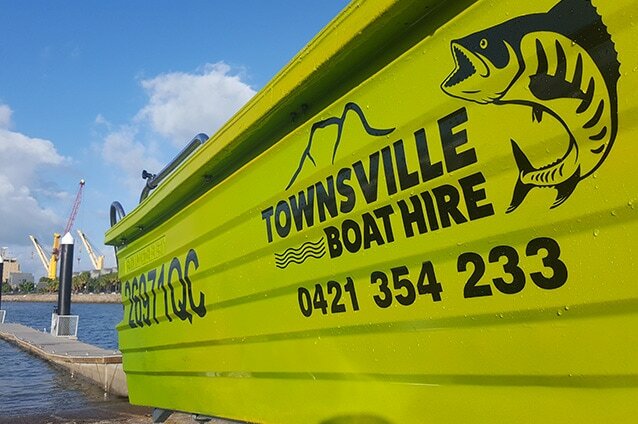 Previously called Mudpickers Boat Hire, Townsville Boat Hire is a family-owned business based in Townsville, North Queensland. We firmly believe there’s nothing better than getting out on the water and exploring our beautiful region, and we are passionate about giving you the means to share this amazing experience! 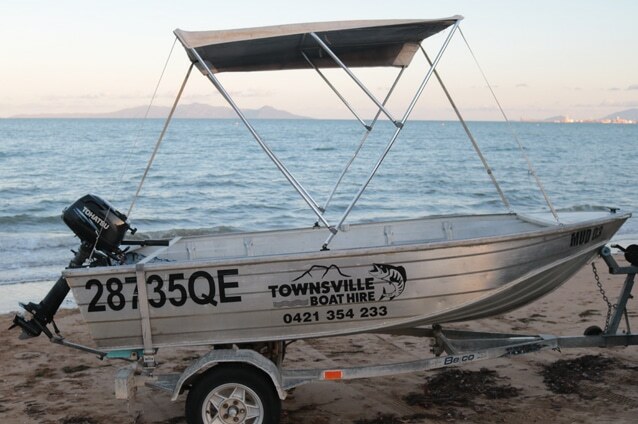 Hire a boat in Townsville and head out on your own bay-hopping adventure to Magnetic Island, crabbing the local creeks, or even tow the boat to Hinchinbrook, the Burdekin Dam, and beyond for an on-water escape. Looking for something special for a close group of friends or family? Our custom private tours in our comfortable pontoon boat allow you to choose exactly how you want to spend the day, or half the day, with your own boat and dedicated skipper. Tell us what you like doing and we’ll tailor an affordable on-water adventure to suit. Not sure? We have plenty of suggestions! Find out more by viewing our range of boats and tours, by clicking the FAQ button below, or getting in contact directly. 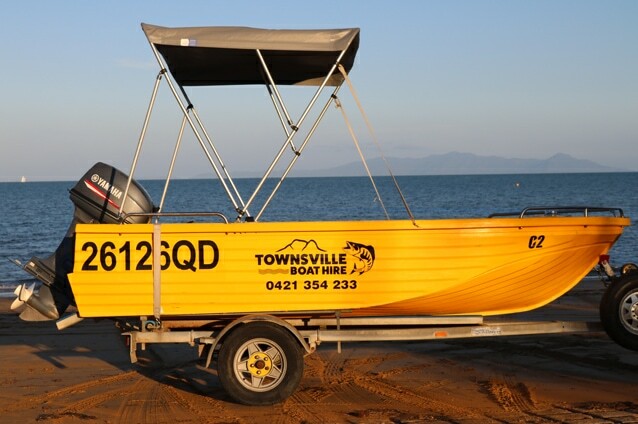 Townsville Boat Hire is an NDIS provider. Our boats are mainly tinnies and polycraft vessels – all come with safety gear, navigational tools, and are regularly serviced. Don’t have your Recreational Marine Driver’s Licence? That’s OK ­– we have options to suit you too. Always wanted to know what’s around the back of Magnetic Island? Want a small group get-together or party with a twist? Looking to get the family out of the house and exploring? Or have a completely different adventure in mind? 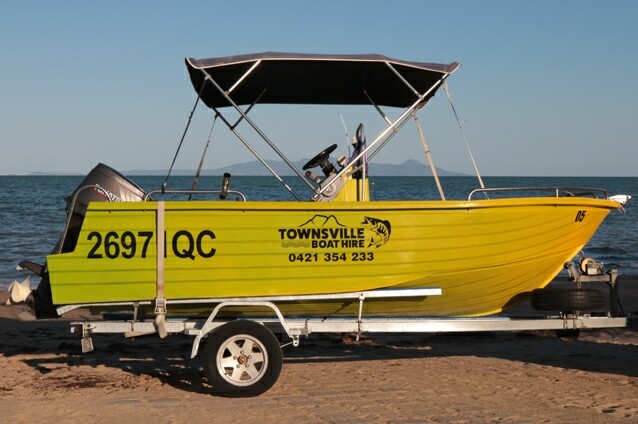 Townsville Boat Hire’s custom private tours are designed to allow you to do exactly what you want with the people you want. The boat is all yours and you have your own skipper. These affordable day trips are designed to provide unforgettable experiences. 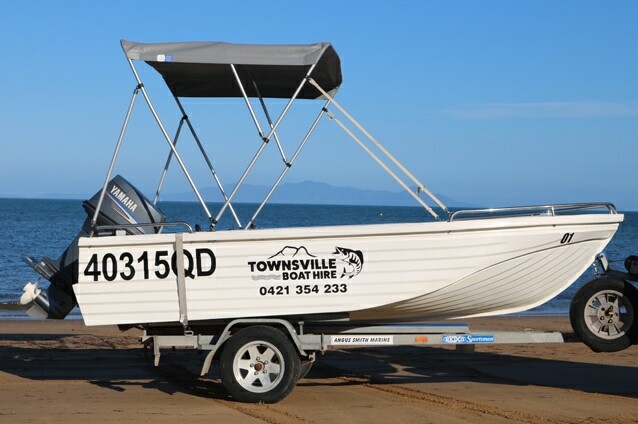 Townsville Boat Hire provides short and long-term hire for a range of commercial jobs, from safety boats to water sampling and government work. We have hire and drive options (including boats that don’t require a Recreational Marine Driver’s Licence) and wet hire where we provide the boat and our qualified and experienced skipper/owner. Safety is always of paramount importance. We can charge by the hour, or by the project. Contact us for a quote. Give the gift of adventure. 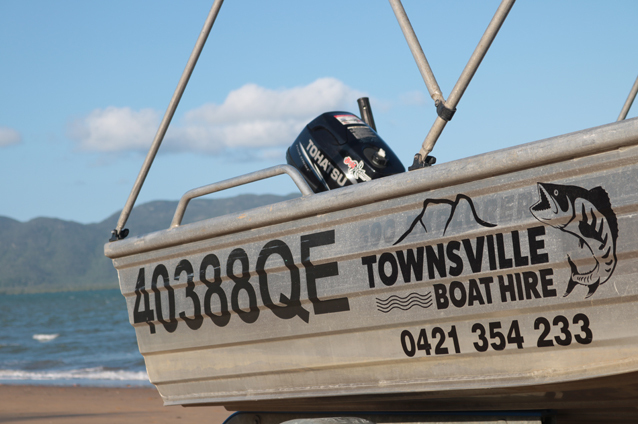 Townsville Boat Hire can do gift vouchers for a specific value, or a particular experience. Give us a call to discuss how we can treat your special someone. Here are some reports from our happy hirers. We hope this inspires your next adventure. P.S. If you have hired from us before, it would be fantastic to receive your pics so we can include them on our bragboard of boating bliss! [email protected]. Please also review us on Facebook or TripAdvisor. What an amazing day with our awesome skipper Troy! So much fun, great boat, beautiful weather and marine life! Very professional and knowledgeable and we saw many new things we hadn’t experienced before so close to home! A wonderful lifelong memory for us all! One of the best local tourism operators in Townsville. HIGHLY RECOMMEND. Excellent boats!! Great deals too! Definitely going back next time I’m in town. Recommend it! A great day with a fantastic boat — definitely be back. The day was great – one of the best Christmas days in a long time! The boat went great, and there were no dramas at all.